The Kestrel hand-held anemometer was spotted by our staff again last on UK freeview channel Dave. Featuring in the excellent “Hurricane Man”, presented by Josh Morgerman. In this episode, Josh and his documentary team are in the wake of Typhoon Cimaron in Japan, as Hurricane Lane explodes onto the scene, barrelling towards Hawaii and threatening historic landfall. For all information on our Kestrel hand-held range, check out our online secure shop or call 01590 641223 for more information. We were glued to our seats last night watching Kate Humbles fascinating “Living with Nomads” documentary (BBC Four, 9pm). 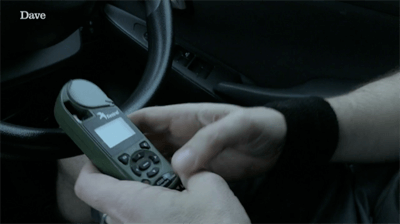 In the show, Kate shows the sub-zero temperatures using the Kestrel 4500 Weather Meter during her time in Siberia. Not only can the Kestrel 4500 with stand sub-zero temperatures, it’s also been used to monitor incredibly hot temperatures (as reported by the BBC at Sydney Cricket Ground). • Measures wind speed, temperature, humidity, pressure and direction. • 14 total meteorological parameters measured, calculated and displayed real-time and stored in memory, including advanced meteorological measurements such as dew point temperature, wet bulb temperature and density altitude. • Large, hi-res, hi-contrast, graphic display is perfectly readable in the brightest sunlight and is backlit for night-time use. You can view and purchase directly from our online secure shop or call 01590 641223 for more information. Amazing viewing the other night watching Skydiver Felix Baumgartner break the sound barrier (Space Dive – BBC 2) during his 128,100 feet freefall dive from the edge of space. Judging the perfect time to launch the balloon to space was essential and the team used the Kestrel 5500 Weather Meter to take constant live on the spot readings including wind speed, wind direction, humidity and temperature to help in picking the exact launch moment. You can view and purchase directly form our online secure shop or call 01590 641223 for more information. Richard Paul Russell Ltd the specialist data logger supplier has launched the SpaceLogger.S100 Serial Data Logger. 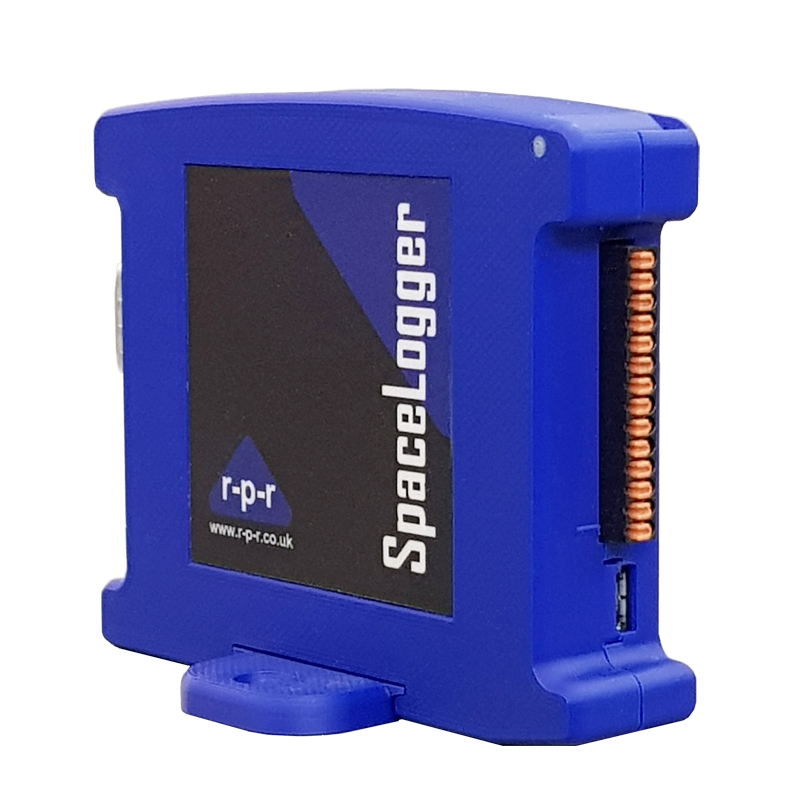 The SpaceLogger.S100 Serial Data Logger connects directly to the local area network and can sample either RS232 or RS422/485 data which is then time and date stamped. The unit has two ports enabling data to be captured simultaneously from two separate sources. In addition the unit can be DIN rail mounted for convenience. The SpaceLogger.S100 Serial Data Logger provides a cost effective, comprehensive and versatile solution for data logging from sensors and devices with either RS232 or RS422/485 serial data outputs. Example applications include environmental monitoring instruments, weighing equipment and NMEA devices. Configuration for different devices’ output is straightforward with a command file pre-loaded at connection. Richard Paul Russell Ltd are experts in developing bespoke solutions with clients. Richard Paul Russell Ltd. was delighted to offer a cost effective ‘plug and play’ solution to Phoenix Model Flying Club. Founded 30 years ago with over 200 members, they required ground level highly accurate wind data so members can judge safe limits to fly. An essential part of the requirement was for members to be able to view the data remotely so they can avoid unnecessary trips to the club when high winds are present. Richard Paul Russell Ltd. delivered a cost-effective solution that exceeded the clients brief, meeting all their “must-haves” with additional desirable functionality well within budget. 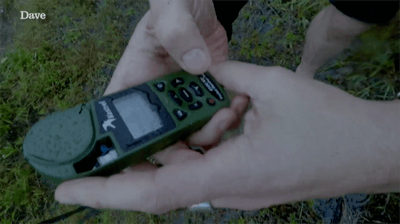 Key elements of the system included a WeatherFile Connection Unit (WCU) that gathers data directly from the sensor that is sent over the local WiFi network to the WeatherFile website. This data can be viewed over the public internet with any connected device from any location. Additional email alert functionality enables club members to receive notifications directly to their inbox when wind limits are exceeded. The system was self-installed on time within budget and to specification, delivering highly accurate live wind speed and direction readings through a Gill WindSonic 1 sensor connected directly to www.WeatherFile.com. Email alerts and long term data capture provide a complete solution that far exceeds the clients’ expectations. Another WeatherFile location has been added to the ever expanding network now totalling 44 sites with more coming on stream as I write. The latest site is 12 Endeavour Square, London, E20 1JN the home of the FCA (Financial Conduct Authority), Transport for London and others. The building boasts 515,000 sq. ft. of office space with a feature roof terrace over 500 sq. m with a width over 25 metres and multiple access points through electric assisted glass doors. Lendlease head of offices Kevin Chapman describes the office space as a “workplace that plays to the occupants health and well-being”. Health and Safety was a key factor to our client and this required bespoke elements to the system jointly specified with our engineering team on site visits. The system comprised a GMX200 a WeatherFile Mobile Unit and 2 local 9” displays that changed colour to red when certain wind speed and direction parameters are exceeded, these displays were sited adjacent to the roof terrace access doors. The Gill MaxiMet GMX200 sensor at 12 Endeavour Square has a built in compass that will always find north thus increasing further accuracy regardless of sensor movement. The WeatherFile Mobile Unit (WMU) allows data to be gathered directly from the Gill MaxiMet GMX200 sensor and sent to our WeatherFile website, the result is cable free live data through WeatherFile completely independent of the buildings local internet increasing security as it separates it from the customers own Wi-Fi network and any associated security risks. Further applications for this system could include weather monitoring and warning from isolated locations, construction industry, including crane operations, health and safety site operations, marine and offshore, wind farm surveying, roads, bridges and tunnels, agriculture and horticulture, sports and outdoor activities, education and research projects, remote airfields and many others.